First, asteroids can serve as pit stops – and provide resources – for future space exploration. Second, some asteroids or comets may be hazards to Earth. This video clip was compiled from images taken by NASA’s EPOXI mission spacecraft during its flyby of comet Hartley 2 on November 4, 2010. Image via NASA/JPL-Caltech/UMD. EarthSky’s 2019 lunar calendars are here! Order yours before they’re gone. Makes a great gift. Funding for small object studies – asteroids and comets – has increased over the past several decades, mainly since astronomers realized that space rocks sometimes do strike the Earth. Now – thanks to adequate funding over decades – scientists believe they have a good handle on the paths through space of the major asteroids, the ones that would literally rock our world if they collided with us. And, fortunately, no major asteroid is known for certain to be on a collision course with Earth at the present time. But small asteroids do pass us all the time, too, in a mass range capable of causing local damage. Some close-passing asteroids are discovered only after they’ve passed closest. What’s more, scientists have come to recognize, in the most profound way, that asteroids can serve as resources for humanity, especially as we venture out into space. Thus NASA is still all-in for studying asteroids, and on November 7, 2018, it released these six reasons why. Note that we’ve changed the order of these six items, from NASA’s original article. This is Ceres, the 1st asteroid ever to be discovered, in the year 1801. 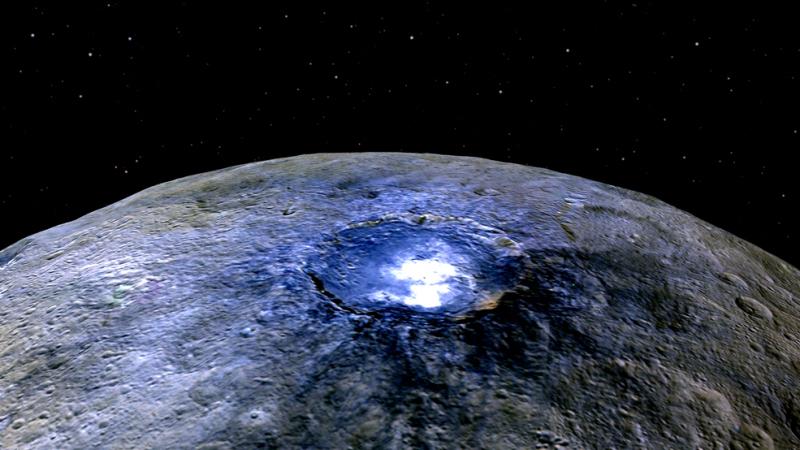 In recent years, the Dawn spacecraft has orbited it and obtained stunning close-up images. What you’re seeing here is Occator Crater (in false color), home to Ceres’ most famous bright spots, which are apparently salt deposits. Image via NASA/JPL-Caltech/UCLA/MPS/DLR/IDA. 1. Asteroids can serve as pit stops – and provide resources – for future space exploration. 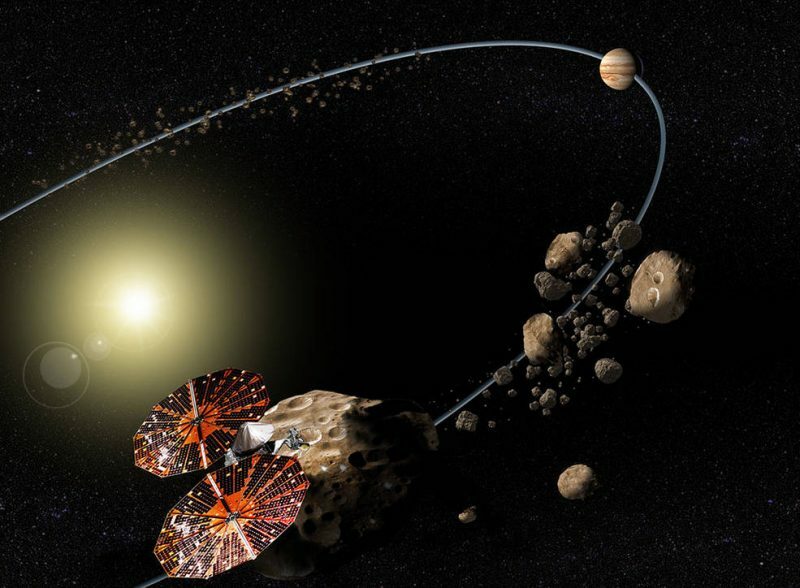 There are no gas stations in space yet, but scientists and engineers are already starting to think about how asteroids could one day serve as refueling stations for spacecraft on the way to farther-flung destinations. These small worlds might also help astronauts restock their supplies. For example, asteroid Bennu [target of the ongoing OSIRIS-REx mission] likely has water bound in clay minerals, which could perhaps one day be harvested for hydrating thirsty space travelers. Scientists also suggest asteroids might be mined, and the materials in space used in space for further exploration. 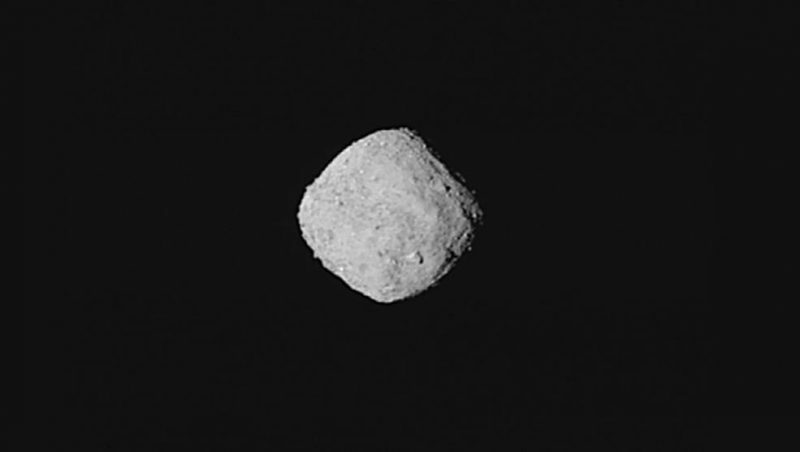 This “super-resolution” view of asteroid Bennu was created using 8 images obtained by NASA’s OSIRIS-REx spacecraft on October 29, 2018, from a distance of about 205 miles (330 km). Image via NASA/Goddard/University of Arizona. 2. 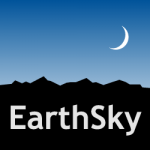 Some asteroids or comets may be hazards to Earth. … scientists estimate Bennu has a 1-in-2,700 chance of impacting our planet during one of its close approaches to Earth in the late 22nd century. Right now, scientists can predict Bennu’s path quite precisely through the year 2135, when the asteroid will make one of its close passes by Earth. Close observations by OSIRIS-REx will get an even tighter handle on Bennu’s journey, and help scientists working on safeguarding our planet against hazardous asteroids to better understand what it would take to deflect one on an impact trajectory. This animation shows how NASA’s Double Asteroid Redirection Test (DART) would target and strike the smaller (left) element of the binary asteroid Didymos to demonstrate how a kinetic impact could potentially redirect an asteroid as part of the agency’s planetary defense program. Another upcoming mission that will test a technique for defending the planet from naturally occurring impact hazards is NASA’s Double Asteroid Redirection Test (DART) mission, which will attempt to change a small asteroid’s motion by colliding with it, in a precise way. DART’s target is Didymos, a binary asteroid composed of two objects orbiting each other. The larger body is about half a mile (800 meters) across, with a small moonlet that is less than one-tenth of a mile (150 meters) wide. An asteroid this size could result in widespread regional damage if one were to impact Earth. DART will deliberately crash itself into the moonlet to slightly change the small object’s orbital speed. Telescopes on Earth will then measure this change in speed by observing the new period of time it takes the moonlet to complete an orbit around the main body, which is expected to be a change of less than a fraction of one percent. But even that small a change could be enough to make a predicted impactor miss Earth in some future impact scenario. The spacecraft, being built by the Johns Hopkins University Applied Physics Laboratory, is scheduled for launch in spring-summer 2021. Didymos and Bennu are just two of the almost 19,000 known near-Earth asteroids. There are over 8,300 known near-Earth asteroids the size of the moonlet of Didymos and larger, but scientists estimate that about 25,000 asteroids in that size range exist in near-Earth space. Artist’s concept shows the Wide-field Infrared Survey Explorer, or WISE, spacecraft, in its orbit around Earth. In its NEOWISE mission it finds and characterizes asteroids. Image via NASA/JPL-Caltech. For most asteroids, we know little about them except for their orbit and how bright they look. 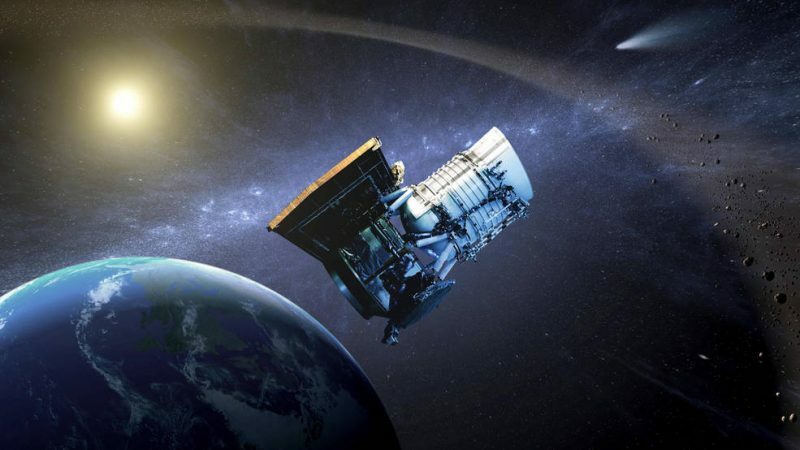 With NEOWISE, we can use the heat emitted from the objects to give us a better assessment of their sizes. That’s important because asteroid impacts can pack quite a punch, and the amount of energy depends strongly on the size of the object. 3. Asteroids and comets may have delivered the elements of life to Earth. By studying Bennu, we can better understand the kinds of objects that allowed a barren young Earth to blossom with life. Bennu likely originated in the main asteroid belt between Mars and Jupiter, and it’s thought to have survived a catastrophic collision that happened between 800 million and 2 billion years ago. Scientists think a big, carbon-rich asteroid shattered into thousands of pieces, and Bennu is one of the remnants. Rather than a solid object, Bennu is thought to be a “rubble pile” asteroid – a loose collection of rocks stuck together through gravity and another force scientists call cohesion. OSIRIS-REx, which will arrive at Bennu in early December 2018 after a 1.2-billion-mile (2-billion-km) journey, will bring back a sample of this intriguing object to Earth in a sample-return capsule in 2023. The Japanese Hayabusa 2 mission is also looking at an asteroid from the same family of bodies that are thought to have delivered ingredients for life to Earth. Currently in orbit at asteroid Ryugu, with small hopping rovers on the surface (see images from the rovers here), the mission will collect samples and return them in a capsule to Earth for analysis by the end of 2020. But there’s more. Small bodies in space didn’t just supply the ingredients for life. They also supplied the ingredients for the planets themselves, Earth included. 4. Essentially, asteroids were the building blocks of planets. Two ancient fossils providing clues to this story are Vesta and Ceres, the largest bodies in the asteroid belt between Mars and Jupiter. NASA’s Dawn spacecraft, which recently ended its mission, orbited both of them … While many asteroids are loose collections of rubble, the interiors of Vesta and Ceres are layered, with the densest material at their cores … This indicates both of these bodies were on their way to becoming planets, but their growth was stunted. They never had enough material to get as big as the major planets. 5. Asteroids and comets help astronomers trace solar system evolution. Most of the material that formed our solar system, including Earth, didn’t live to tell the tale. It fell into the sun or was ejected beyond the reaches of our most powerful telescopes; only a small fraction formed the planets. But there are some renegade remnants of the early days when the stuff of planets swirled with an uncertain fate around the sun. A particularly catastrophic time for the solar system was between 50 and 500 million years after the sun formed. Jupiter and Saturn, our system’s most massive giants, reorganized the objects around them as their gravity interacted with smaller worlds such as asteroids. Uranus and Neptune may have originated closer to the sun and been kicked outward as Jupiter and Saturn moved around. Saturn, in fact, may have prevented Jupiter from “eating” some of the terrestrial planets, including Earth, as its gravity counteracted Jupiter’s further movement toward the sun. Farther afield, the New Horizons spacecraft is currently on its way to a distant object called 2014 MU69, nicknamed “Ultima Thule” by the mission. One billion miles farther from the sun than Pluto, MU69 is a resident of the Kuiper Belt, a region of ice-rich objects beyond the orbit of Neptune. Objects like MU69 may represent the most primitive, or unaltered, material that remains in the solar system. While the planets orbit in ellipses around the sun, MU69 and many other Kuiper Belt objects have very circular orbits, suggesting they have not moved from their original paths in 4.5 billion years. These objects may represent the building blocks of Pluto and other distant icy worlds like it. New Horizons will make its closest approach to MU69 on January 1, 2019 – the farthest planetary flyby in history. 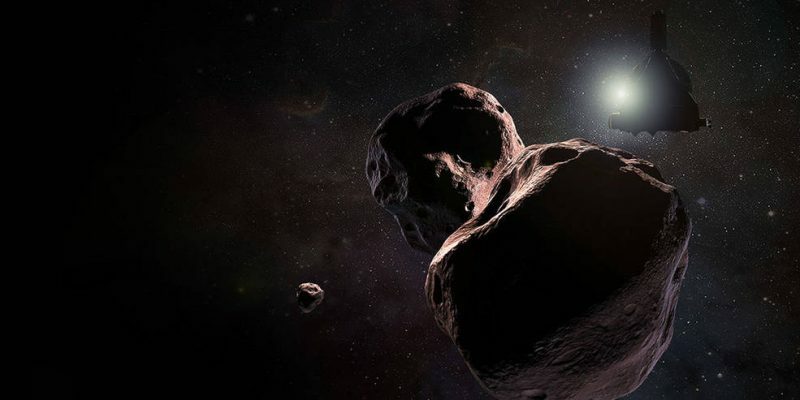 Artist’s concept of NASA’s New Horizons spacecraft encountering 2014 MU69, a Kuiper Belt object that orbits the sun 1 billion miles (1.6 billion kilometers) beyond Pluto, on January 1, 2019. Image via NASA/JHUAPL/SwRI. Zodiacal dust around other stars indicates that they, too, may harbor active planetary systems. Dust from small bodies has had an important role in our planet in particular. About 100 tons of meteoritic material and dust material fall on Earth every day. 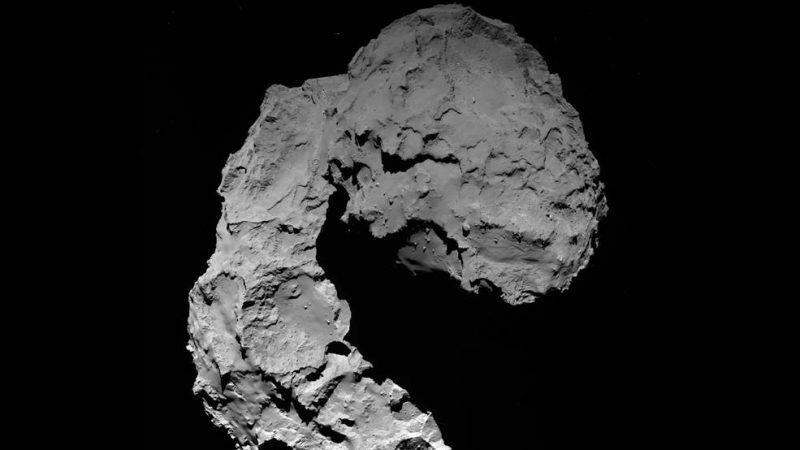 Some of it comes from comets, whose activity has direct implications for Earth’s evolution. 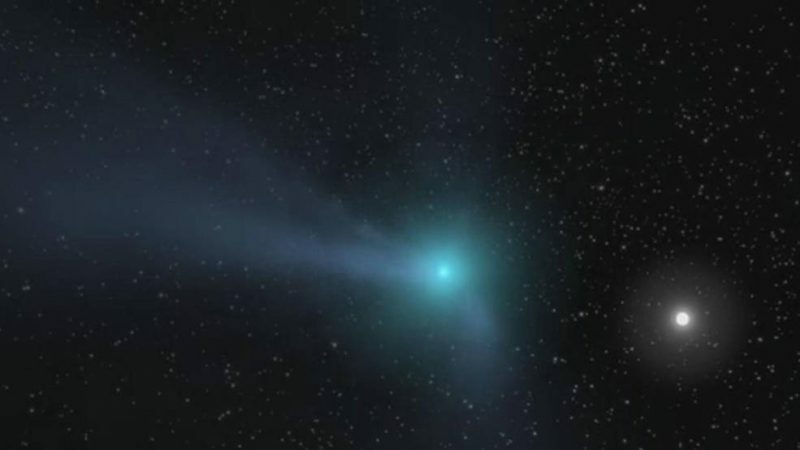 As comets approach the sun and experience its heat, gases inside the comet bubble up and carry away dusty material from the comet – including ingredients for life. NASA’s Stardust spacecraft flew by comet 81P/Wild in 2004 and found that cometary dust contains amino acids, which are building blocks of life. We discovered that boulders the size of a large truck could be moved across the comet’s surface a distance as long as 1 1/2 football fields. Comets also influence planetary motion today. As Jupiter continues to fling comets outward, it moves inward ever so slightly because of the gravitational dance with the icy bodies. Neptune, meanwhile, throws comets inward and in turn gets a tiny outward push. Uranus and Saturn are also moving outward very slowly in this process. Thus the small bodies in space – the asteroids and comets – have established themselves as vital objects of study in astronomy. NASA has more to say on this subject, which you can read here. This view shows Comet 67P/Churyumov-Gerasimenko as seen by the OSIRIS wide-angle camera on ESA’s Rosetta spacecraft on September 29, 2016, when Rosetta was at an altitude of 14 miles (23 km). Image via ESA/Rosetta/MPS for OSIRIS Team MPS/UPD/LAM/IAA/SSO/INTA/UPM/DASP/IDA. An animation portrays a comet as it approaches the inner solar system. Light from the sun warms the comet’s core, or nucleus, an object so small it cannot be seen at this scale. Click here to view animation. Image via NASA/JPL-Caltech. Bottom line: Six reasons to study asteroids, comets and other space rocks.